Welcome to our Real Estate Developer Resource Center for investing and developing inside Qualified Opportunity Zones. Below the map are resources curated for the use of real estate investors and developers including official sources, downloadable documents, other portals/hubs, recent news, and discussion threads. We have marked potentially negative coverage (from the perspective of investors and developers) where appropriate to ensure you are aware of potential roadblocks and opposition. At this time, we endeavor to only cover national news. Click the map links below to access an interactive map and review Qualified Opportunity Zones throughout the United States. The Washington Post (2/14/19) – Will ‘Opportunity Zones’ Help the Rich, the Poor or Both? 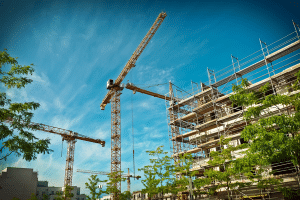 Commercial Property Executive (1/23/19) – What Can Opportunity Zones Offer NNN Investors? National Real Estate Investor (1/23/19) – Which Office Markets Are Best Bets for Opportunity Zone Investment? The Washington Post (1/14/19) – Opportunity Zones: Can a Tax Break for Rich People Really Help Poor People? The Washington Post (1/4/19) – Will ‘Opportunity Zones’ Help the Rich, the Poor or Both? GlobeSt (12/19/18) – Can Investors Time a 1031 Exchange into an Opportunity Zone Fund? CNN (12/6/18) – Can Average Investors Take Advantage of a New Real Estate Development Tax Break? GlobeSt (11/27/18) – How Popular Will Opportunity Zones Be? GlobeSt (11/1/18) – Are Opportunity Zones Really Worth the Tax Break? Forbes (10/24/18) – Opportunity Zone Investments for Family Offices: Where are the ‘Good’ Deals? Forbes (10/23/18) – IRS Proposes Generous Rules For Opportunity Zone Investors, But What Will They Mean for Communities?